It has been a long time since Ukraine received as much attention as it has in recent weeks. This makes sense, given its plans to sign an Association Agreement with the EU in late November. The agreement is a boring legal document, which few will be able to read through to the end, but its political essence is crystal clear. Ukraine is ready to recognize a legal framework that may ultimately, albeit possibly in the very distant future, make it eligible for EU membership. However, this document will also close the door to another integration association with a different set of rules and standards – the Customs Union of Russia, Belarus and Kazakhstan. What does Kiev stand win and what will it lose by making the European choice? This is a subject for separate discussion and Ukraine’s sovereign matter. It alone can make the decision. Needless to say, it would be best if Kiev relied on good judgment rather than political slogans, but sovereign nations are free to do as they please. And then reap the well-deserved fruit of success or bemoan opportunities lost. 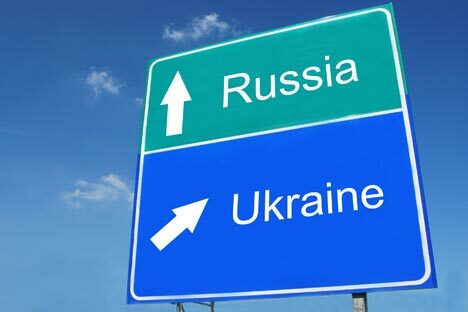 The choice Russia now faces is how to deal with Ukraine if it takes the European path. The collapse of the Soviet Union turned the largely symbolic border between the former republics into a delimitation line, with new states coming into being on both sides. Initially very similar, they gradually diverged from each other. At first it seemed that this division would only be nominal, but concern over delivery volumes, duties, prices and rates of return gradually dampened the sense of there being any unique cultural, historical and religious affinity between them. Competition with the West, which is not averse to living off this Soviet geopolitical heritage, has ultimately turned the battle for Ukraine into an end goal. The experience of former empires shows convincingly that one must not look back and yet should not lose sight of the future. Many fallen empires went from a poignant feeling of loss and a desire to regain their positions to political indifference and attempts to dissociate themselves from their imperial past. A successful outcome is when nations that once formed a common entity continue to feel a strong bond, irrespective of their political interests. External factors may change, but the cultural basis uniting nations remains intact – unless it is (deliberately or unwittingly) razed to the ground. For the past 20-odd years, Russian-Ukrainian relations have been dominated by a predilection for loose ends: The two nations regarded each other as two separate – but not completely alien – states. This had to come to an end and now is a time for clarity, which will be followed by change, at least in their economic relations. That is as it should be, because friendship is one thing and business is quite another. The main thing is not to turn this natural process into a pretext to punish your neighbor for alleged disloyalty. Any wine, milk or chocolate can be found to be made in violation of standards. But the feeling of satisfaction from finding fault in your neighbor will be short-lived, and the damage done to trust – at the human, not political level – will prove difficult to remedy. Trust and goodwill between nations are the only lasting assets and the only basis on which common political and economic institutions can be created when the situation changes again. Russia is a large and powerful nation, and it can certainly survive without Ukraine or any other post-Soviet republic for that matter. Especially because the czars’ and Communist Party leaders’ reasons for expansion are no longer valid in the 21st century, when buffer zones cannot guarantee national security. But pragmatism alone is not enough. Russia’s national identity is capable of weathering the worst globalization storms but it will not be strengthened by a split from the countries that were historically part of its zone of influence. No other country can be closer to Russia in terms of history, culture and religion than Ukraine, Belarus, Moldova, Georgia and Armenia. They can make different political choices, as is their right, but Russia should opt for maintaining a spiritual bond with them. Otherwise it may find itself becoming a self-sufficient but very solitary state.